Fished a river rig with a pink floating jig head and a pearl white colored Gulp 3” Minnow. Caught three saugers while letting bait drift through current downstream. Two saugers met minimum of 15” to keep. Fished before sundown. Fished the same Doc’s Dip Worm with Doc’s Blood Dip Bait, as well as jig and twister tail for white bass. Caught one large channel catfish and one small catfish on dip bait, no results from twister tail. of Wisconsin’s rivers are notorious for their yearly spring walleye spawning runs. The Rock, Wisconsin, Fox, Wolf, and Mississippi Rivers are famous for these runs. What many anglers miss out on post-run, is white bass runs. 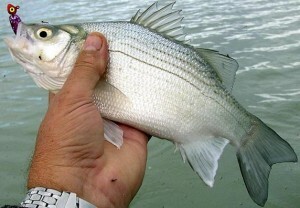 White bass (pictured above), run just after walleye usually stop running. A good old wives trick to knowing when the white bass are running is simple. 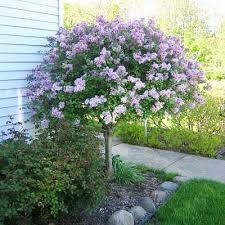 When lilac trees and bushes start blooming, it’s always a good bet that the white bass will be running. White bass are fairly aggressive feeders. Anything from small minnows to jig and grubs and little spoons can catch white bass. There has been staunch debate about the table quality of white bass. Some love it and some hate it. If you are in it for a fish fry, try white bass, if you are in it for fun, try white bass. As I’ve mentioned before, I’ve been fishing since I was 3. Fishing is one of those things that I can almost say I’ve been doing for 20 years. After all of the time I’ve spent doing it, it wasn’t all that new to me anymore. Sure, there are lots of new adventures to take in fishing. Fishing for new species, fishing with artificials instead of live bait, and fishing in different places are all god ideas for those looking to shake it up a little bit in their fishing lives. After fishing for as long as I have been, I exhausted out the list of things to do to spice up fishing. One method I always tended to ignore, however, was fly fly fishing. For some reason, I never felt like picking up fly fishing. To me, fly fishing was for guys fishing for trout in Washington, Oregon, and Alaska. It was not until I started watching the Field and Stream series “Hook Shots,” that I realized fly fishing has so much more potential than that. Depending on the rod and line you use, you can fly fish for bass, pike, and musky. I think that versatility initially piqued my interest more than anything. Rigging for catfish is not very tricky. There are two concepts that need to be had in mind. A. Catfish are bottom feeders, presentations should focus on the bottom of the water column. B. Catfish can get really big, your rod, line, and terminal tackle should be sturdy and well maintained. With that in mind, opt for rods rated for big fish. Medium heavy to extra heavy is appropriate. Using heavy line is also good. Braided line starting around 30 lb test is a good choice. Choose sinkers in the 3/4 ounce to 2 ounce range. Circle hooks are highly recommended as well. For rigging, a river rig that I discussed in regards to walleye a little while back is a good choice. Just switch out the smaller gear for bigger gear. You should be catching kitty’s in no time! Catfish are eaters. That is why they get so big which is why they are so fun to catch. Both channels and flatheads love to chew, but they both have different palates. Let’s break it down. Flathead Catfish- While channels will eat a variety of things, flatheads are different. Flatheads like baitfish, either whole or cut. Examples of good flathead bait includes bluegills, sunfish, sheepshead, shiners, gizzard shad, suckers, bullheads, and sculpins. 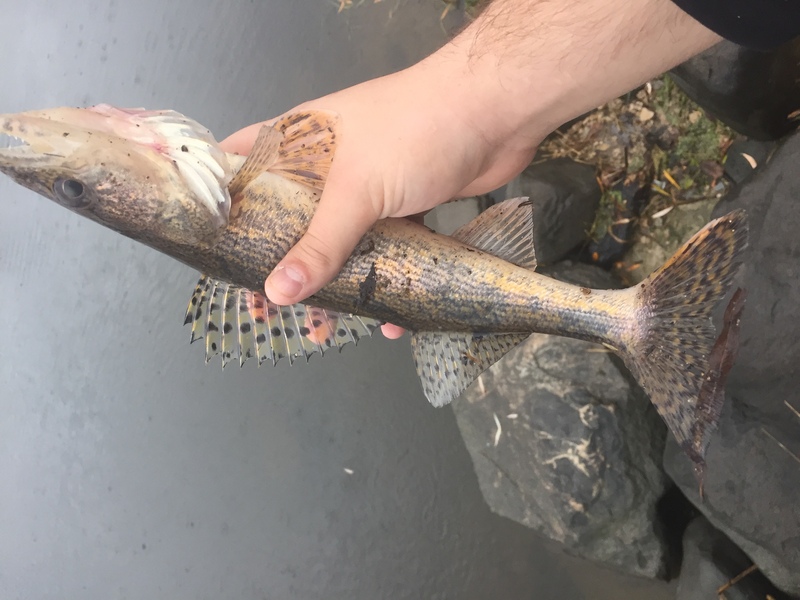 Both species are great fun to fish for, and both can be caught in the Upper Midwest. Stay tuned all this week for tips, tricks, and stories about catfish! With the prolonged rainfall we have had in our area, the local rivers are being affected severely. Right now, the Rock River is starting to crest over it’s banks, which can be potentially dangerous for fishermen. With this in mind, do heed caution when extreme high water conditions present themselves. Make sure you are on sturdy banks to avoid potential washout. Make sure people know that you are on the river. Make wise decisions while on the river. Another important reminder regards transportation to the water. As it stands currently, Bark River Road, an access road that leads to the Rock River, is currently impassable due to flooding. This happens often to roads adjacent to flood-prone rivers. Don’t ever drive through floods, and make sure you have alternate routes in the event that your normal routes become flooded. 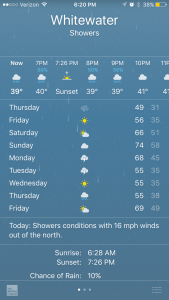 I would assume with this forecast that the flooding will calm in the next few days. 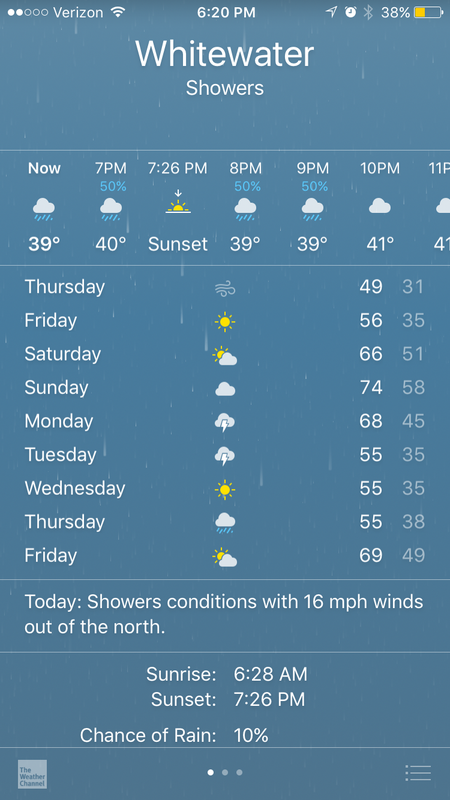 However if the storms they are predicting next week occur, conditions can shift quickly. Be Safe and Tight Lines! 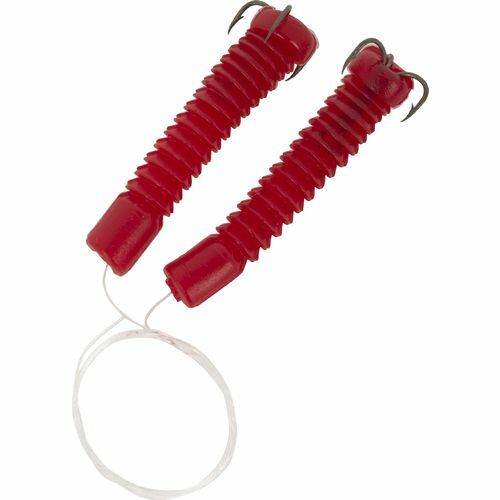 Not too long ago, the Alabama rig was a big hit in the fishing world. The set-up that mimicked schools of baitfish was celebrated and persecuted for it’s success. 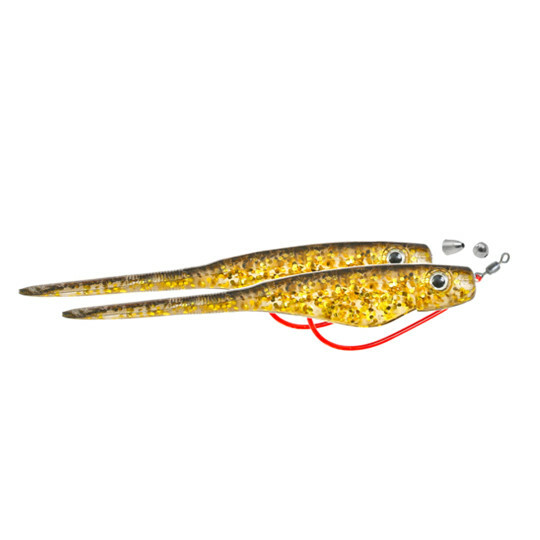 A lot of people were using “schoolie rigs” with great success, but the fad died out after the Alabama rig was banned in most large fishing tournaments. 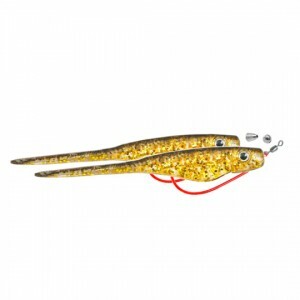 Recently, I’ve seen a lot of anglers using tandem rigs for walleye and white bass. This is the aforementioned tandem rig. For the most part, it’s a rig with two hooks and two identical swimbaits. Generally they are spread out by a couple inches, and they imitate two fish swimming together. As for my opinion of the lure, I’m critical. One of the knocks on the Alabama rig by BASS and other governing bodies was potential snagging concerns. With all of those hooks, snagging was a problem. While tandem rigs don’t have nearly as many hooks as Alabama rigs, Instill have concerns about this rig ending up in fishes bellies more than their mouthes. 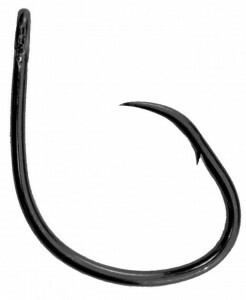 In the river systems, there are times when it is easy to snag fish with a single hook. Right now, with spawning migrations happening, I feel like this rig is not completely ethical. As an aside, while I’ve said that I’lol be condensing fish reports during the spawn to protect my spots, I will still make safety reports if necessary. My follow up to this will address that. Sorry the dry up in posts. It’s been a very busy time lately. I have also decided to do my fishing reports in blocks, and not on the day of. I do this because giving a lot of information in real time in the fishing world is dangerous. Give too much, and you tend to find a bunch of people in your spot. Doing reports in blocks allows me to still tell you how I do things, while also protecting my fishing. Fishing was tough yet again. The stretch of river in Fort has a lot of timber on the bottom. Lot of tackle donated tonight. Need to try other methods to avoid snags. This was a shot in the dark. I was visiting a friend in Michigan and had a rod in the car. Was told that there was a lot of trout/salmon and smallmouth in the river but did not catch anything. Always fish in unsure situations, you never know. Pretty good day, hopefully a sign of things to come. With the blizzard we are currently experiencing, I thought I’d discuss the approach necessary to fish in cold, snowy conditions such as these. When it is as cold as it is outside right now, fish get sluggish. Fishing lures really fast is not a good way to get bit during conditions like this. Methods such as live bait or slow-moving lures is your best bet. Another concept to think about is the size of your bait. Fish want a big, slow-moving meal during cold conditions, so present a larger offering than you normally would. Fish can be caught in the cold. This sauger was caught in snowy conditions on a fairly large crankbait. Fishing isn’t the best in snow, but it is doable.